Add this to the list of cool things you can do with your Legos. 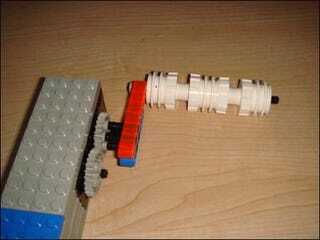 The hand crank Lego charger lets you juice up any USB-based gadget the old fashioned way, by cranking it up. It seems fairly simple to build as it uses a Lego motor to generate current which then passes through a voltage regulator and onto the USB port. Hit the jump for a video of the charger in action.